To my mind, fungi rank among the weirdest of all living things. However, 'weird' can mean fascinating (again, to my mind, which I'm sure some people consider at least as weird as fungi) and in some cases beautiful. This exquisite, tiny fungus grew with several other similar clusters on one of the tracks through the Totara Reserve a short distance up the valley from my place. I'd been there on a beautiful sunny afternoon a few days ago with excellent friends, one of whom spotted these spectacular clusters. I'm still waiting for the identification to be confirmed, but I'm fairly sure these will turn out to be violet coral (Clavaria zollingeri). 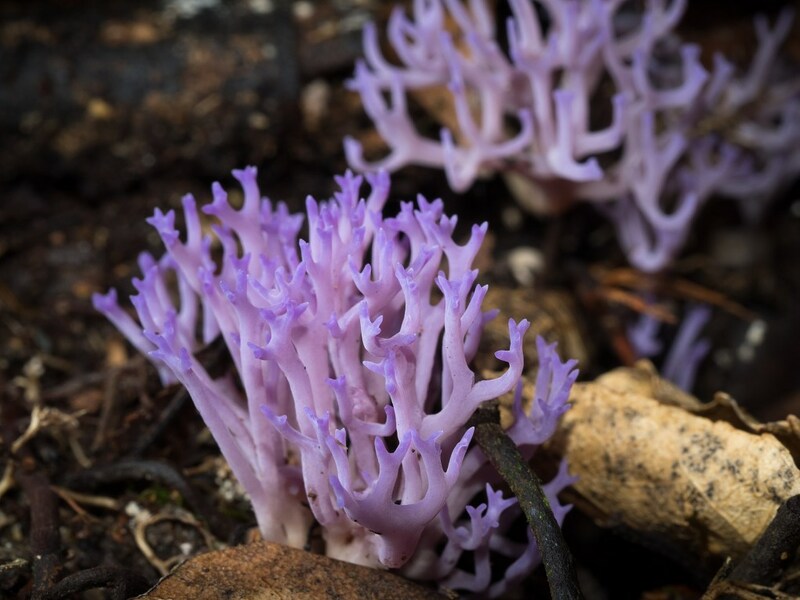 Update (2 August 2015): The initial ID was violet coral, but after some conferring the experts have decided this is in fact Ramariopsis pulchella. That is so exotic, and the name sounds like a medieval musical instrument. I share your admiration of weirdness in general and fungi in particular. Purty. I like weird and alien, which many "primitive" creatures seem to be. Still free-form and creative, colorful and potential. For anything not undersea, this one looks a bit out of place. Wow - what an amazing colour. As Zhoen says, it looks as if it should be on a seabed. What I'm not sure about is its size: is it extremely small? Would the colour be obvious to the naked eye? Zhoen, now you point it out, it does suit both parts of its name. Much of the New Zealand bush (forest) tends to be subtley rather than spectacularly beautiful, so I find striking colours like this both fascinating and welcome. Lisa, the clusters are roughly a centimetre or two high, and the colour's obvious. 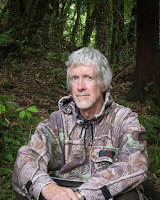 The photograph's an accurate representation, although they were in shade and the flash has brightened the overall light.